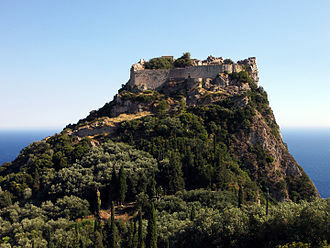 For other sieges of Corfu, see Siege of Corfu (disambiguation). The French and Ottoman fleets joined at the Siege of Corfu in early September 1537. Ottomans fail to capture Corfu. The Siege of Corfu in 1537 was led by the Ottoman Emperor Suleiman the Magnificent, against the Republic of Venice-held island of Corfu. It is part of the Ottoman–Venetian War (1537–1540), one of the numerous Ottoman–Venetian Wars of the period. For 1537 important combined operations had been agreed upon between France and the Ottoman Empire as part of the Franco-Ottoman alliance, in which the Ottomans would attack southern Italy and Naples under Barbarossa, and Francis I would attack northern Italy with 50,000 men. 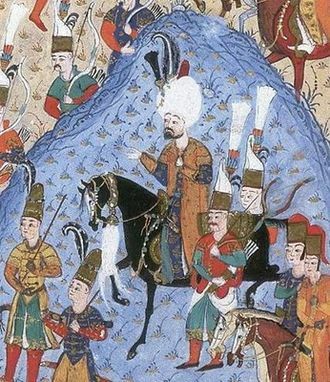 Suleiman led an army of 300,000 from Constantinople to Albania, with the objective of transporting them to Italy with the fleet. The Ottoman fleet gathered in Avlona with 100 galleys, accompanied by the French ambassador Jean de La Forêt. They landed in Castro, Apulia by the end of July 1537, and departed two weeks later with many prisoners. 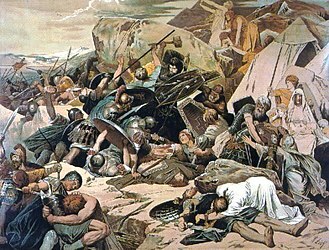 Barbarossa had laid waste to the region around Otranto, carrying about 10,000 people into slavery. Francis however failed to meet his commitment, and instead attacked the Netherlands. The Ottomans departed from Southern Italy, and instead diverted their forces to mount the Siege of Corfu, a possession of the Republic of Venice, in August 1537. Suleiman decided to leave Avlona for Corfu on 19 August 1537. 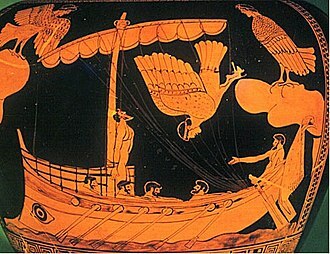 The fleet, composed of about 320 ships, started bombarding Corfu on 26 August. Ottoman troops amounting to 25,000 men were landed on the island of Corfu. 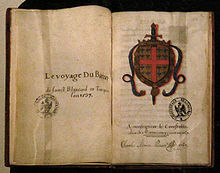 Le Voyage du Baron de Saint Blancard en Turquie, by Jean de la Vega, after 1538. 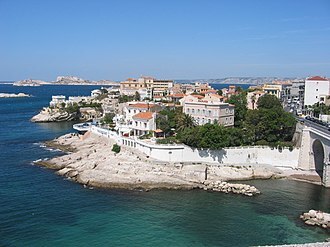 At the siege, the Ottomans were met by the French Admiral Baron de Saint-Blancard, who had left Marseille on 15 August with 12 galleys, and arrived at Corfu in early September 1537. Saint-Blancard in vain attempted to convince the Ottomans to again raid the coasts of Apulia, Sicily and the March of Ancona. 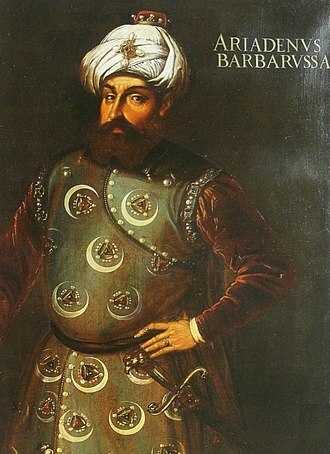 Eventually Suleiman, worried by a plague among his troops, decided to return with his fleet to Istambul by mid-September without having captured Corfu. French ambassador Jean de La Forêt became seriously ill and died around that time. Francis I finally penetrated into Italy, and reached Rivoli on 31 October 1537. The fleet of Saint-Blancard wintered in Chios until 17 February 1538. 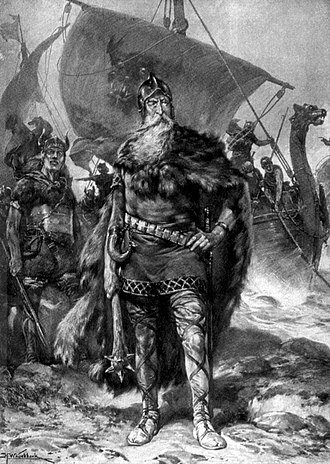 It was decided that three ships would go to Constantinople, while the rest of the fleet returned to France. In Constantinople, they were received by the French ambassador Charles de Marillac. 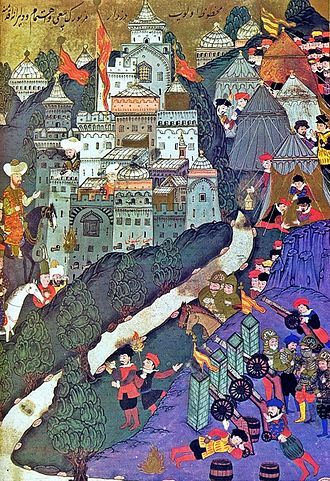 Hayreddin Barbarossa provided for the expenses, and the French galleys finally left on 11 April 1538 to return to Nice through Monastir. A consequence of the siege was that the Venetians decided to form an alliance with the Pope and the Habsburg against the Ottomans. On 18 June 1538, Francis I signed the Truce of Nice with Charles V, thereby temporarily abandoning the Franco-Ottoman alliance. ^ Lambton, Ann Katherine Swynford; Lewis, Bernard (1977-01-01). The Cambridge History of Islam: A. The central islamic lands from pre-islamic times to the First World War. Cambridge University Press. ISBN 9780521291354. ^ Dyer, Thomas Henry (1861-01-01). The history of modern Europe: from the fall of Constantinople, in 1453, to the war in the Crimea, in 1857. J. Murray. 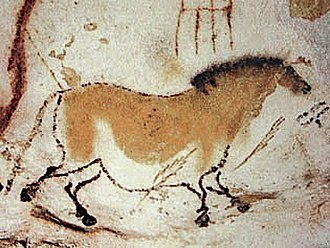 Otranto is a town and comune in the province of Lecce, in a fertile region once famous for its breed of horses. It is located on the east coast of the Salento peninsula, the Strait of Otranto, to which the city gives its name, connects the Adriatic Sea with the Ionian Sea and separates Italy from Albania. The harbour is small and has little trade, the lighthouse Faro della Palascìa, at approximately 5 kilometres southeast of Otranto, marks the most easterly point of the Italian mainland. About 50 kilometres south lies the promontory of Santa Maria di Leuca, the extremity of Italy. The district between this promontory and Otranto is thickly populated and very fertile, Otranto occupies the site of the ancient Hydrus or Hydruntum, known as Hydrunton, Hydronton, or Hydruntu. 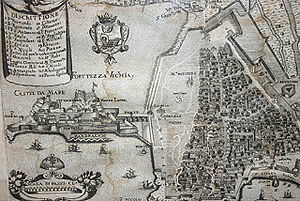 Otranto was a town of Greek origin, which, in the wars of Pyrrhus, in Roman times it was a city. 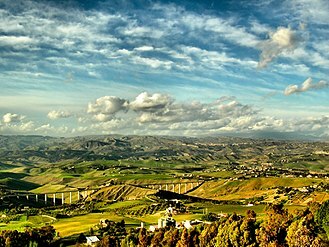 In the 8th century, it was for some time in the possession of duke Arechis II of Benevento, in the Middle Ages the Jews had a school there. 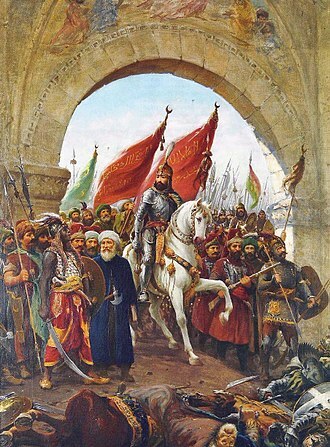 In 1480, Mehmet the Conqueror sent an Ottoman fleet to invade Rome under the command of Gedik Ahmed Pasha and this force reached the shores of Apulia on 28 July 1480 and the city was captured in two weeks on 11 August 1480. Some 800 citizens, known as the Martyrs of Otranto, were beheaded after refusing to convert to Islam and they were canonized by Pope Francis on 12 May 2013. In 1481, the Pope, in panic, called for a crusade to be led by King Ferdinand of Naples, the Turks controlled the city for 13 months. 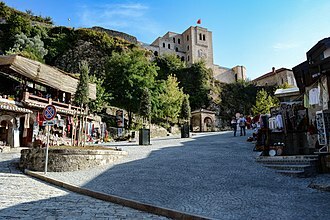 Mehmet II died on his way to capture the rest of Italy and his successor, Bayezid II, ordered Gedik Ahmed Pasha to be hanged and on 11 September 1481 the Turks abandoned the city. In 1537, the famous Turkish corsair and Ottoman admiral Barbarossa recaptured Otranto and the Fortress of Castro, in 1804, the city was obliged to harbour a French garrison that was established there to watch the movements of the English fleet. Under the French name of Otrante it was created a duché grand-fief de lEmpire in the Napoleonic kingdom of Naples for Joseph Fouché, Napoleons minister of Police, the family used the title of duc dOtrante after Joseph Fouchés death. Francis I was the first King of France from the Angoulême branch of the House of Valois, reigning from 1515 until his death. He was the son of Charles, Count of Angoulême, and he succeeded his cousin and father-in-law Louis XII, who died without a male heir. 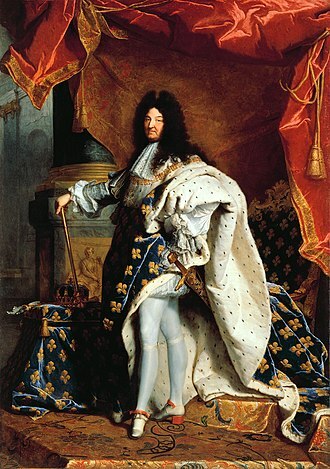 Francis reign saw important cultural changes with the rise of absolute monarchy in France, the spread of humanism and Protestantism, Jacques Cartier and others claimed lands in the Americas for France and paved the way for the expansion of the first French colonial empire. For his role in the development and promotion of a standardized French language, he became known as le Père et Restaurateur des Lettres. He was known as François au Grand Nez, the Grand Colas, following the policy of his predecessors, Francis continued the Italian Wars. In his struggle against Imperial hegemony, he sought the support of Henry VIII of England at the Field of the Cloth of Gold. When this was unsuccessful, he formed a Franco-Ottoman alliance with the Muslim sultan Suleiman the Magnificent, a controversial move for a Christian king at the time. 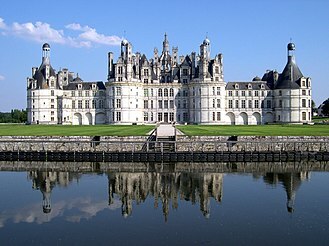 Francis was born on 12 September 1494 at the Château de Cognac in the town of Cognac, which at that time lay in the province of Saintonge, today the town lies in the department of Charente. 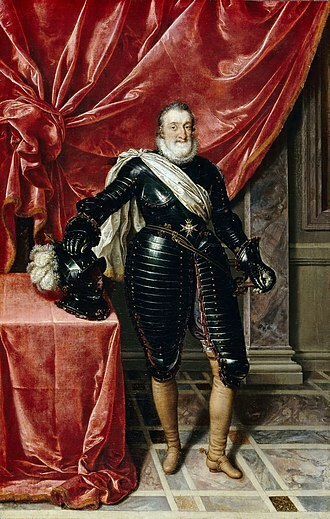 Francis was the son of Charles, Count of Angoulême, and Louise of Savoy. 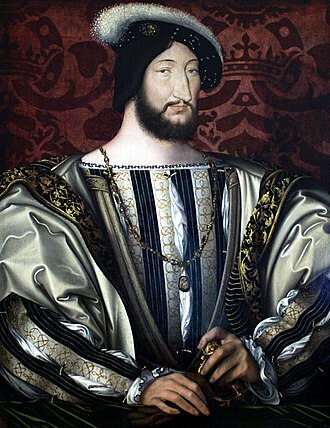 His family was not expected to inherit the throne, as his third cousin King Charles VIII was still young at the time of his birth, as was his fathers cousin the Duke of Orléans, King Louis XII. However, Charles VIII died childless in 1498 and was succeeded by Louis XII, the Salic Law prevailed in France, thus females were ineligible to inherit the throne. Therefore, the four-year-old Francis became the heir presumptive to the throne of France in 1498 and was vested with the title of Duke of Valois. In 1505, Louis XII, having fallen ill, ordered that his daughter Claude and Francis be married immediately, Claude was heiress to the Duchy of Brittany through her mother, Anne of Brittany. 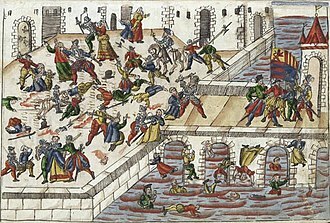 Following Annes death, the took place on 18 May 1514. The Morean War is the better-known name for the Sixth Ottoman–Venetian War. 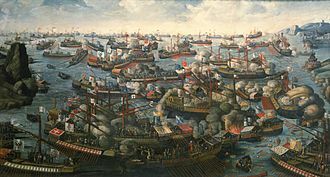 The war was fought between 1684–1699, as part of the conflict known as the Great Turkish War, between the Republic of Venice and the Ottoman Empire. Military operations ranged from Dalmatia to the Aegean Sea, but the major campaign was the Venetian conquest of the Morea peninsula in southern Greece. 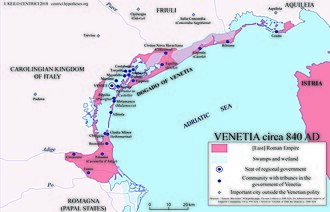 As such, the Morean War holds the distinction of being the only Ottoman–Venetian conflict from which Venice emerged victorious, venices expansionist revival would be short-lived however, as its gains were reversed by the Ottomans in 1715. However, with the rise of the Ottomans, during the 16th and early 17th centuries, they lost most of these, such as Cyprus and Euboea to the Turks. 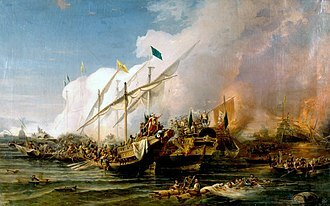 Between 1645 and 1669, the Venetians and the Ottomans fought a long and costly war over the last major Venetian possession in the Aegean, Crete. During this war, the Venetian commander, Francesco Morosini, came into contact with the rebellious Maniots, in 1659, Morosini landed in the Morea, and together with the Maniots, he took Kalamata. However, he was soon forced to return to Crete. In 1683, a new war broke out between Austria and the Ottomans, with a large Ottoman army advancing towards Vienna, the Ottoman siege was broken in the Battle of Vienna by the King of Poland, Jan Sobieski. As a result, an anti-Ottoman Holy League was formed at Linz on 5 March 1684 between Emperor Leopold I, and the Doge of Venice, Marcantonio Guistinian. Over the next few years, the Austrians recovered Hungary from Ottoman control, however the Austrians were now overextended, as well as being embroiled in the Nine Years War against France. 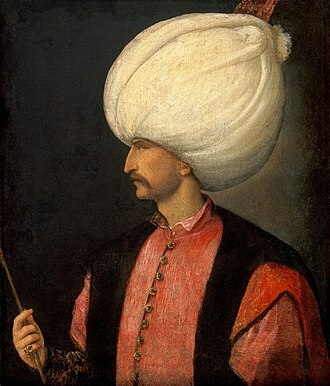 The Ottomans, under another Köprülü Grand Vizier, Fazıl Mustafa Pasha, regained the initiative and pushed the Austrians back, recovering Niš and Vidin in 1690 and launching raids across the Danube. After 1696, the tide turned again, with the capture of Azov by the Russians in 1696 followed by a defeat at the hands of Eugene of Savoy at the battle of Zenta in September 1697. In its aftermath, negotiations began between the parties, leading to the signing of the Treaty of Karlowitz in 1699. 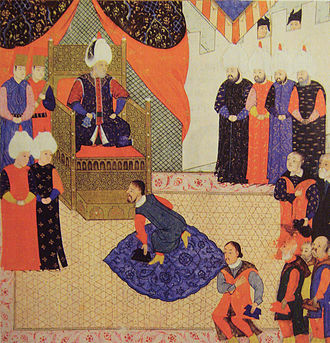 Sultan Selim II receiving the Safavid ambassador in the palace at Edirne in 1567. 16th century copy of the 1569 Capitulations between Charles IX and Selim II. A Maltese galley. Although being gradually replaced by sailing ships, galleys formed still a large part of the Mediterranean navies during the 17th century. Battle of the Venetian fleet against the Turks at Phocaea (Focchies) in 1649. Painting by Abraham Beerstraten, 1656. 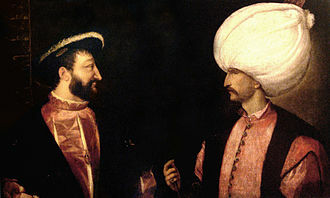 Francis I (left) and Suleiman I the Magnificent (right) initiated the Franco-Ottoman alliance. Composite of two separate paintings by Titian, circa 1530. 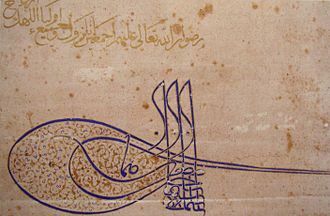 Ottoman Prince Cem with Pierre d'Aubusson in Bourganeuf, 1483–1489. First letter from Suleiman to Francis I in February 1526. Letter of Suleiman the Magnificent to Francis I of France regarding the protection of Christians in his states. September 1528. Archives Nationales, Paris, France. The tower of the medieval fortress of Vlorë in 1573. Celebration of the first anniversary of the Albanian Declaration of Independence in Vlorë. 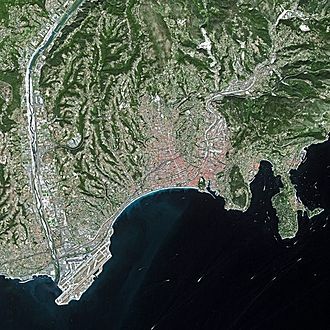 A satellite image showing the Bay of Vlorë. Skulls of "Martyrs of Otranto" on display in Otranto cathedral. Draft of the 1536 Treaty negotiated between Jean de La Forêt and Ibrahim Pasha, a few days before his assassination, expanding to the whole Ottoman Empire the privileges received in Egypt from the Mamluks before 1518. Letter of Suleiman to Francis I in 1536, informing Francis I of the successful campaign of Iraq, and acknowledging the permanent French embassy of Jean de La Forest at the Ottoman court. The Battle of Lepanto 1571, engraved by Martin Rota. Capitulation reopenning trade between Venice and the Ottoman Empire signed 2 October 1540, following the Ottoman–Venetian War. The noted condottiere Sigismondo Malatesta, Lord of Rimini. His tenure in command of the land forces in the Morea (July 1464 to January 1466) failed to reverse the Republic's fortunes.